I think red doors are my favorites! For one second i wondered what was the shutter doing there!! then I realized it was for a window!! Well, now I want to see inside! This doorway definitely has curb appeal. 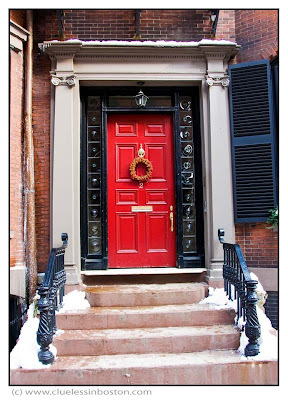 Awesome red door! Makes me want to take a walk around Beacon Hill.